← Cute ‘Lil Critters… Boxing Week BLOWOUT! 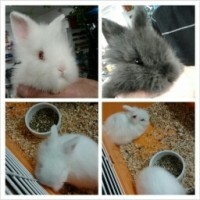 Fuzzy, Wuzzy, Adorable, Hand-raised Baby Dwarf Angora Bunnies! Pets, Ponds, Fish, Corals and Beyond! Happy New Year from TEAM AQUA!! Download & Print page or Display ad(s) via handheld device before checkout! This entry was posted in Pets, Small Animals and tagged Baby Bunny, Baby Dwarf Angora Bunnies, Dwarf Angora Bunny.